The Irish BIM Innovation Awards were held in November last year, celebrating the world-class talent of the BIM industry in Ireland. J.V. 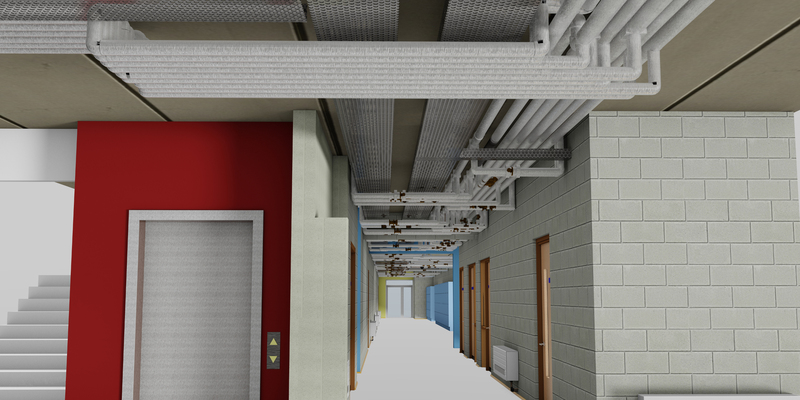 Tierney produced a BIM model during the design phase of the Schools Bundle 4 project, which was then developed to Facility Management (FM) by BAM Contractors. It was for this project that BAM Contractors won the ‘Operations and Asset Management Category: BIM to FM’ at the Irish BIM Innovation Awards. The award celebrates the ultimate value proposition that BIM technologies offer to end users and facility managers, with judging based on the quality of the digital package offered to the end user and its linkage to efficient monitoring of the physical asset. The judging panel, including international BIM experts, commended nominees in all categories for the calibre of their submissions. Dr. Alan Hore closed the ceremony with a speech regarding the progress the Irish Construction Industry is making through adoption of BIM technologies. We are proud to be industry leaders in the use of BIM and are excited for its future advances. J.V. Tierney would like to congratulate everyone from our office who worked on the BIM model and the VDC team from BAM Contractors for developing this into an award winning project.